Today i will show you how to do a nice illustrated sketch effect. 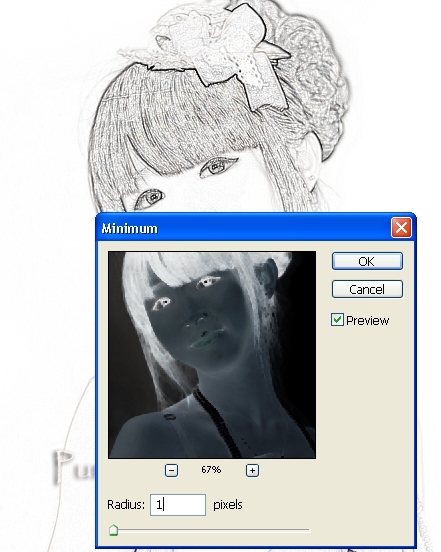 If your pic is dark you can choose another mode such as Screen, set right opacity or skip changing mode. 5. Create a new layer, choose soft brush, color feb9d0 to paint on her cheeks and then her skin, set this layer to Multipy 25%. 6. We see something wrong with her lips. It caused the light reflected on her lips in original pic. Create a new layer, choose Clone tool and check Same All Layers on property bar. Hold Alt key to choose the right area of lip and paint over there. 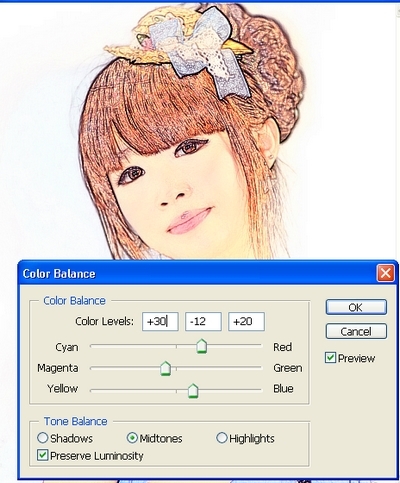 - Use another adjsutment layers to adjust the light and color, such as Level, Brightness/contrast or Curves if needs. 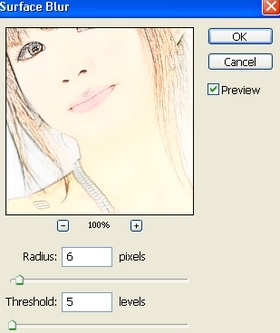 - If your pic background is not a simple color ( like my pic) you should skip the step 8.
thank you for that wonderful tutorial. i really love this one. thanks so much, good lesson thx for sharing, am a really keen infusiast. and you have shown me a few things i havent even tried yet esp: Filter other minimum etc: thanks again. please keep in touch send me all links to your work. im glad for what i shared useful for you. Thank you for telling me it . you're very welcome and i wish you all the best for a greate new year. Great tutorial and good steps. Articles like these put the cnosmuer in the driver seat-very important.